In this experiment we will use a super-precise analytical balance scale (background information here) to compare accuracy of three popular powder measures - Redding BR-30, RCBS Uniflow, and Lee "Perfect Powder Measure" - when metering Varget. Varget is very popular with high power rifle shooters because it is temperature insensitive. However, being a stick powder, it does not work very well with the standard powder measure design. I used each of the three measures to dispense 25 charges, weighed them on Denver Instruments AB-250D microbalance scale, and then estimated the standard deviation of each powder measure. This is a Cadillac of powder measures, and is ostensibly designed for High Power competitive shooting. The 30 grain range is supposed to be the sweet spot, therefore the designation BR-30 (bench rest, 30 grain). 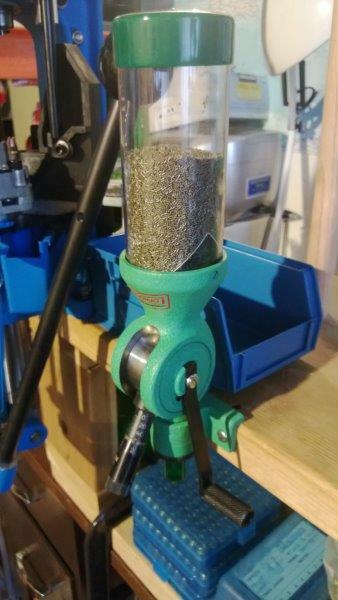 This is the run of the mill powder measure which is very popular with reloaders. 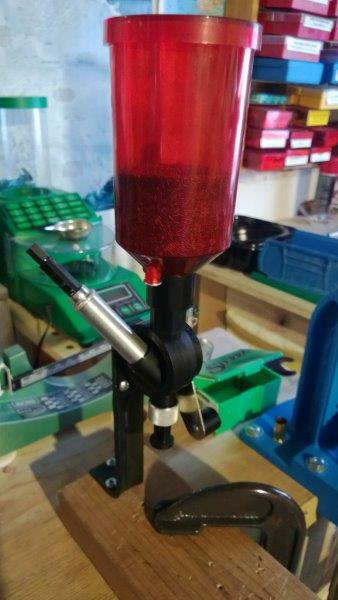 RCBS produces a number of accessories for it, the one you see on the picture (the one I used) has the metering chamber upgraded with a micrometer, and the powder baffle installed. 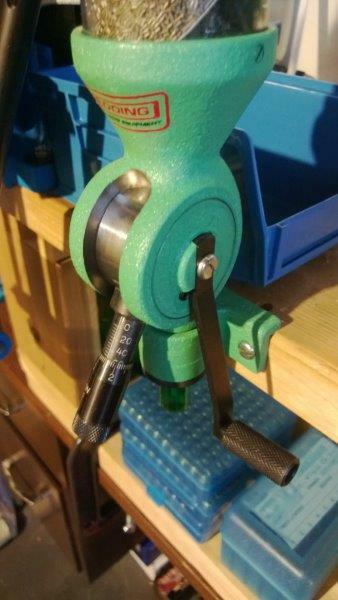 Micrometer has of course no impact on accuracy, but it makes switching between loads easier. RCBS sells these in two variations - one with a small cylinder for pistol and one with a large for a rifle loading. 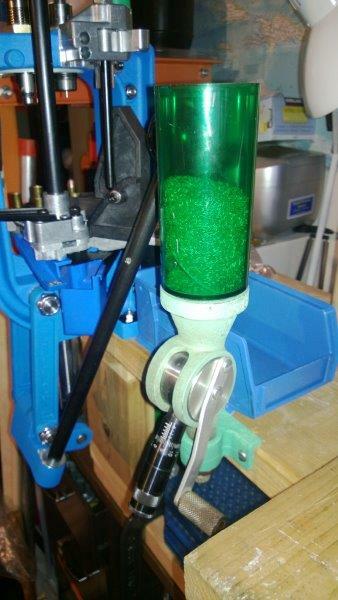 The cylinders can be bought separately, so one can retarget a rifle measure for pistol loading. 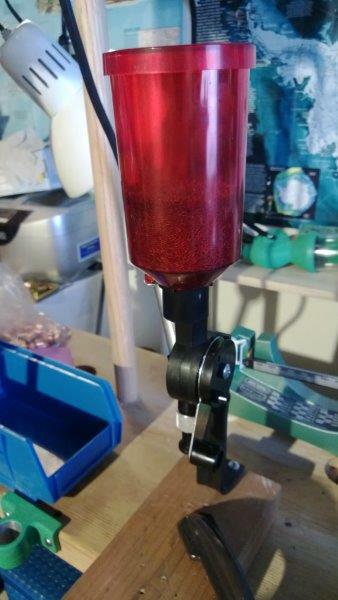 A cheap cheap cheap "no frills" powder measure with a tacky name. I cannot keep myself from putting quotes around the name "perfect" - please do not take this as a dig at the product itself, but rather as a crack at Lee's product marketing team that keeps coming up with these ridiculous monikers. The measure is very simple. It does not have a baffle, and it is made almost entirely out of plastic. It is pretty smooth at measuring stick powders, and is next to useless for fine-grained pistol powders such as Bullseye or Unique, as the tiny flakes get into its seams, clog the mechanism, and even seep through it. Without much ado, here are the results. 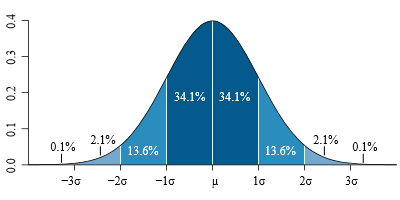 Sample standard deviation is the standard deviation computed for a sample. Population standard deviation is an estimate of what standard deviation would be for an infinite number of measurements. If a standard deviation is X, there is 68.2% probability that it will be within X (on either side) from the mean, a 95.4% probability that is will be within 2X, and 99.6% probability that it will be within 3X. 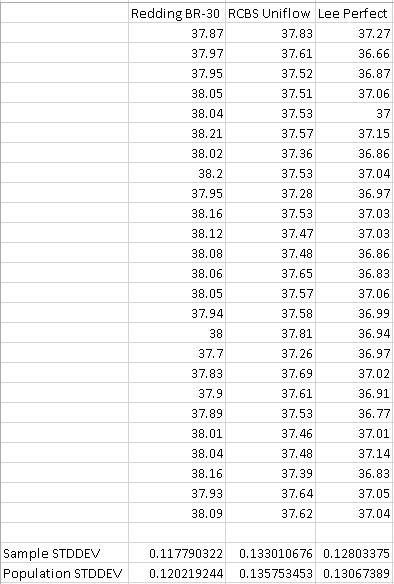 So for instance, out of a 100 powder throws we should expect that 68 will lie within 0.12gr (BR3), or 0.14gr (Uniflow), or 0.13gr (Lee) from average, and 5 will differ from the average by more than 0.24gr (BR3), 0.27gr (Uniflow), or 0.26gr (Lee). This means that for all practical purposes the 3 measures performed identically, and that none of them can throw Varget with the 0.1gr accuracy. Given the price and ignoring the inability of Lee's measure to dispense pistol powder, it comes up as a definite price/performance winner, as it costs 1/4rd of what an RCBS does, and 1/8th of the price of Redding. But then how does one measure Varget accurately? See here.